What machines do you need? 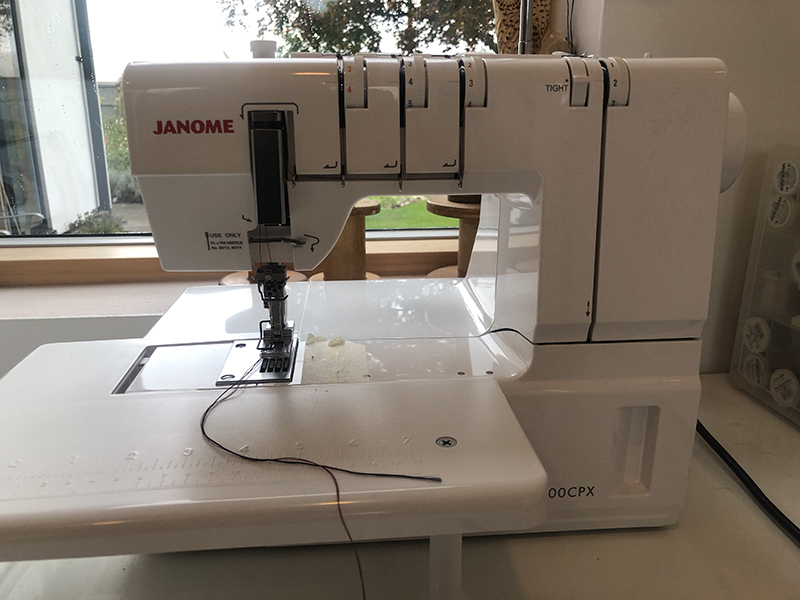 If you have a sewing machine with a few basic stitches then you are good to go. You’ll just need a straight stitch for sewing wovens, but for jersey and other knit fabrics you’ll need to sew with a stitch that stretches. 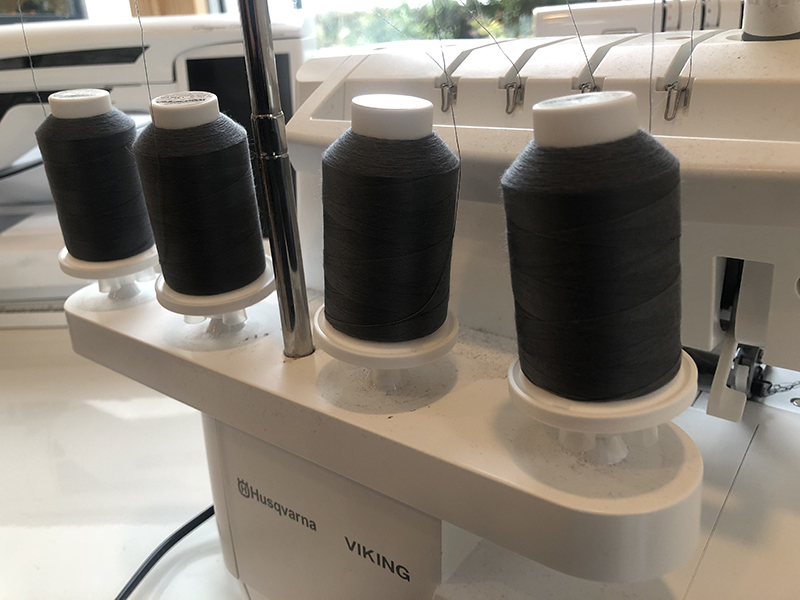 You can use a narrow zigzag, but we prefer to use an overlocker (serger). 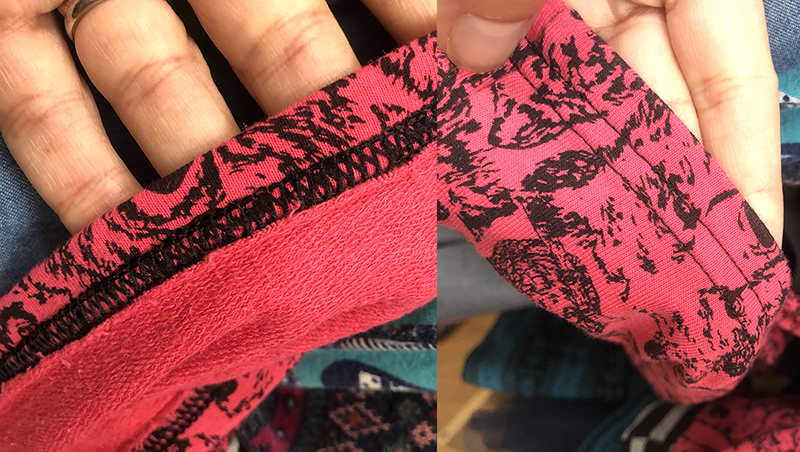 It’s likely that you’ll at some point want to sew a buttonhole, and set in a zip, but most sewing machines can do this. We sew a lot with jersey and lightweight sweatshirt or Ponte fabrics. They are easy to handle and easy to wear. I find that they are best sewn with an overlocker (serger). This machine stitches the seam and overcasts the edge and trims all in one fell swoop. The result is a seam on the inside that’s strong and neat. 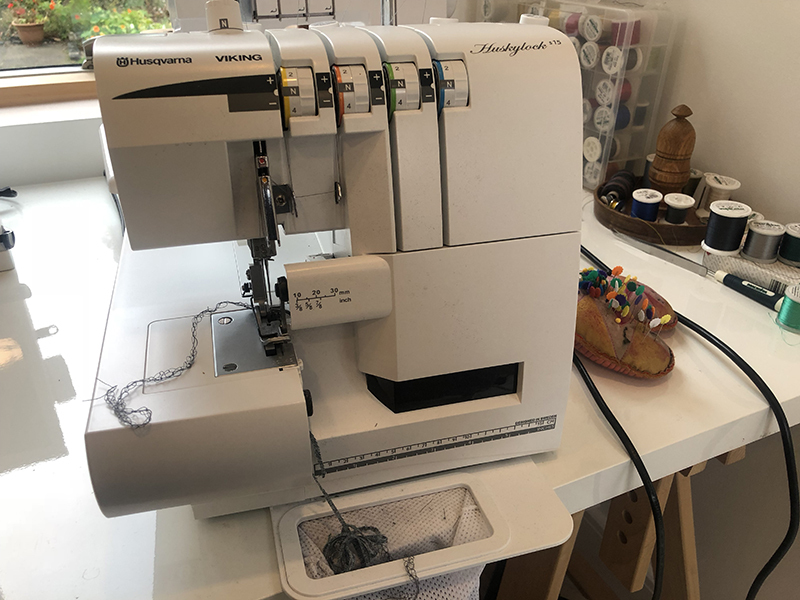 The overlocker I have is this Husqvarna Viking s15 and I love it. No bells and whistles, just a good reliable machine and I would recommend it. Because I sew so much with jersey I also have a coverstitch machine. This is for hemming and produces a secure stretchy hem stitch. A coverstitch machine is a luxury that I think is really only justified if you sew a lot. That said it does give a really professional finish to the garments so if space and budget allow it might be something to consider. You can get overlockers with a coverstitch, but to be honest I would suggest that two separate machines is the better option. When I sew, I have both set up next to each other so I can easily hop between the two. Changing an overlocker to its coverstitch function can be a bit of a faff and who wants to slow the creative flow! I tend to use two needles so that on the top you get a neat double row of stitching and on the reverse the looper thread. I sew with a polyester thread on the overlocker. You tend to need four cones the same which is quite an investment but just stick to the basic colours that you know you’ll be working with often. A mid grey for example can be suitable for lots of projects. 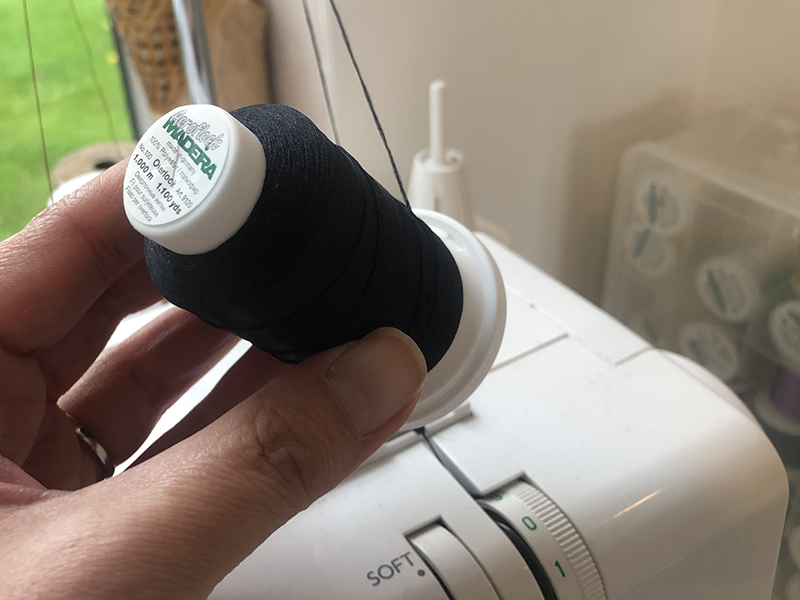 For seams that won’t be seen on the outside, you can just change the needle threads for ones that match your project and the loopers can be any colour. If you are using a coverstitch machine, for that looper thread I would recommend a wooly nylon that fluffs out and covers beautifully. The one I use is Madeira Aeroflock and you can also pop it on the overlocker loopers too. If you are lucky, you’ll have a great fabric store near to you, but most likely that won’t be the case. We are within easy travelling distance of the Rag Market in Birmingham and that is usually my first port of call. There are stalls inside and out with a wide variety of fabrics. You can’t always go there with a plan though as you never know what the stallholders will have that particular day. I have found some really amazing fabrics there over the years and have never come away empty handed. When shopping at a market like this you have to stay open minded and be prepared to dig through the bolts to find the good stuff. I sometimes take a note of the yardage I need for some of my favourite patterns so I can be sure I’m buying enough fabric for a particular garment. 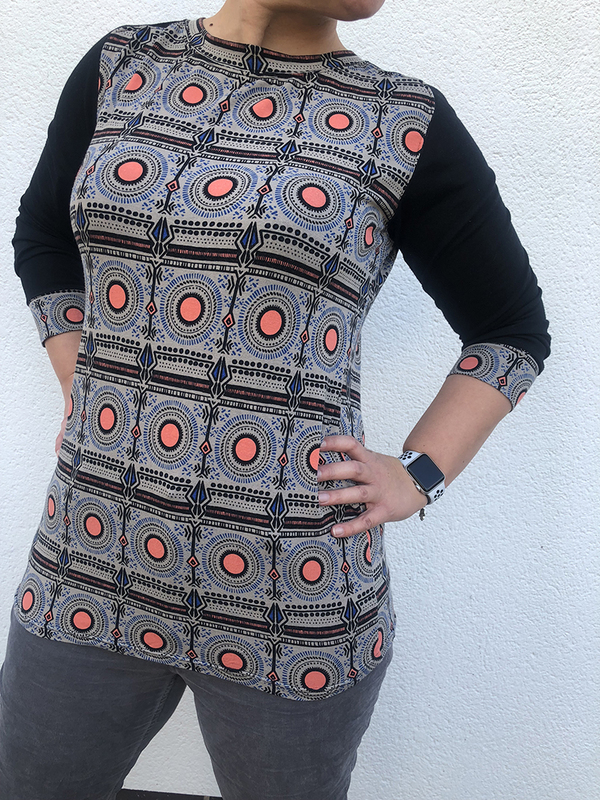 I couldn’t resist the patterned jersey I used for this t-shirt, but there was only a small already cut length available. I was able to get front and back but not the sleeves so I just teamed it up with some plain black in a similar weight. The leftovers were large enough for a t-shirt for Amelie so we have matching! If there is no fabric shop or market nearby then your best bet is of course the internet. Buying online can be tricky as you can’t feel the fabric first so I would recommend getting samples sent if you are unsure. Most shops will send samples for free or a small postage charge. We regularly shop with Minerva Crafts and Weaver Dee, but I also find fabrics on eBay and other small independent online stores. Which patterns are best to start with? I guess this depends on what you like to wear, but if you’re a complete beginner look for easy styles that only have a few pattern pieces and no fastenings. T-shirts, simple dresses and tunics, leggings, they are all quick makes and wardrobe staples that you’ll get lots of use from. I sew womenswear and kids wear and I always find the kids stuff easiest as the pieces are smaller and the whole thing generally goes together more quickly. 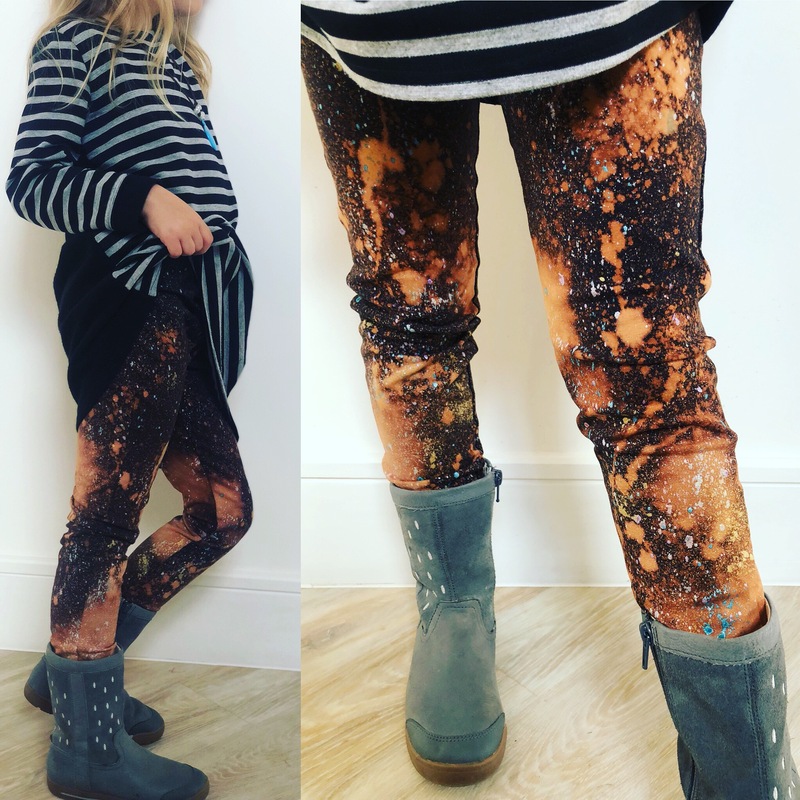 If you have a young girl in your household then being able to run up a pair of leggings in a hour is very handy! 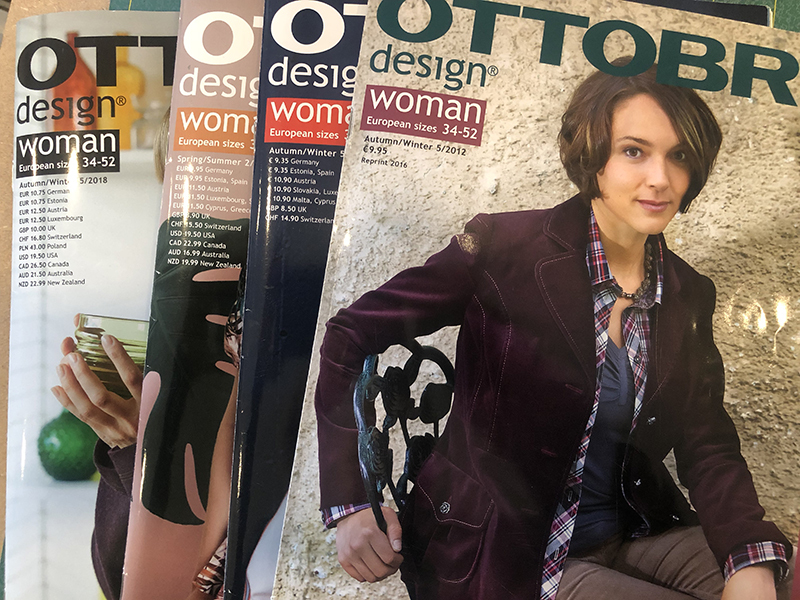 We sew with patterns from the Big 4 – Vogue, Burda, McCalls and Simplicity, but lately we have been sewing most with Ottobre. 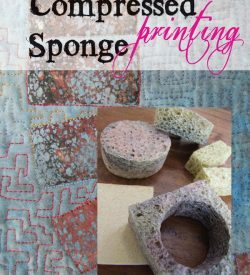 This is a pattern magazine that you can purchase by subscription or one-off issues. We’re not affiliated to them in anyway, we just love their styles! They are well cut and go together very easily. 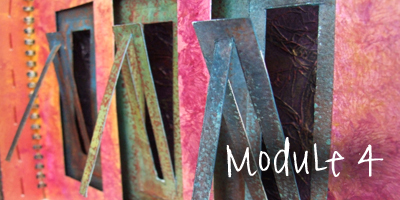 I always find several things I want to sew in every issue so I think they are great value. 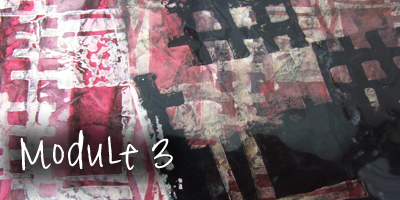 There are a couple of downsides – you have to trace the patterns off from pattern sheets which can be a bit tricky. Linda hates doing it so I always get that job. I trace the patterns onto Swedish tracing paper and then make a copy of the instructions and pop the whole lot into an envelope so it’s ready any time I want to sew that garment. The only other minor negative is that the instructions are brief so if you are a complete beginner you might need to look up some technical things on trickier garments. I have to say though, everything I’ve sewn from Ottobre has fit beautifully and the kids clothes are practical and stylish too. Make sure you’re using a fabric that’s suitable for the pattern. I have a load of patterns and a heap of fabric and one of the fun parts is trying to match them up! Sometimes I buy the fabric first and have to wait to find the perfect pattern, sometimes the other way round. Take your time. The making process is part of the fun. I tend to break it down into manageable stages so nothing becomes a chore. I might trace the pattern one evening, cut the fabric the next and so on. If you’re making something simple like leggings go into mass production. 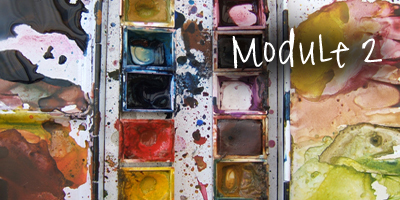 Once you’ve found a style that fits you, and you have all the supplies, it makes sense to make more than one at a time. Doing all the cutting at once, then all the sewing is quicker if you’re pushed for time. Press as you go. Sounds basic, but ironing things as stated by the pattern is important for good results. Sew in your ends. I’m always in a rush to wear whatever the latest thing is I’ve made, so I have to force myself to slow down and finish things properly. 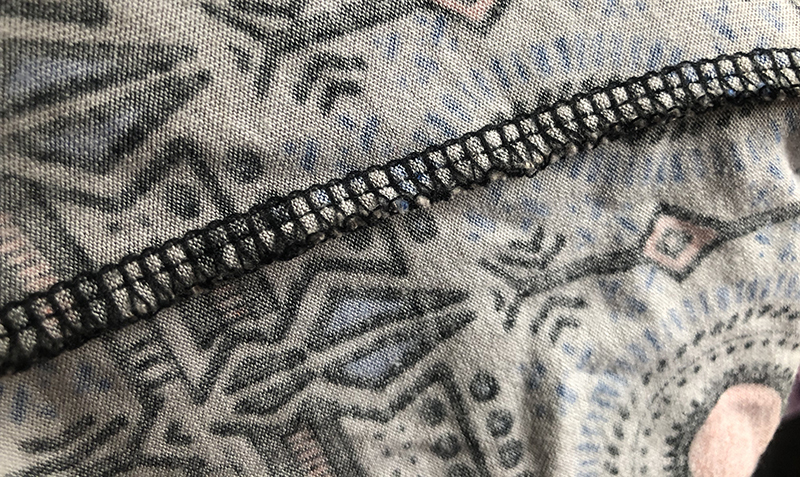 It’s best to hand sew in ends from overlocking and coverstitching for a result that will be neat and also last the test of wearing and washing multiple times. Have fun and find your own style. The absolute best bit of sewing your own clothes is that you get to choose the style, the fit, the fabric and the colour. I just love knowing that no-one else will have the same garment as me!